For those of us with school-age children, the term dates tend to dictate much of our annual calendar and with ever-increasing demand for the best family destinations, sometimes a little organisation is required. Don’t panic - we can help! It's easy to find yourself leaning towards countries you know and have visited many times before - you may speak a little of the language and you know what to expect. At Alternative Portugal we are huge advocates of a little adventure, and if you are considering a different destination for you summer holiday this year, the west coast of Portugal would be our top pick. Holidays in Portugal have a style and rhythm that is surprisingly familiar to anyone who has travelled in France – the morning trip to the pastelaria for bread and local treats, an al fresco coffee in the square whilst watching the world go by and delicious local food and wine in the evening - with plenty of activities enjoyed during the day of course! 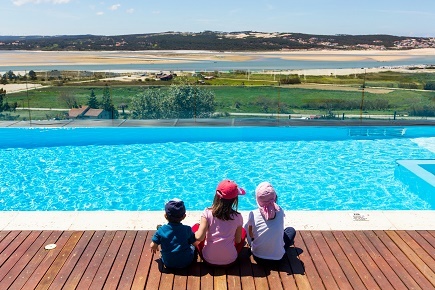 We work hard with our partners in Portugal to find the best accommodation to suit families of all ages. Classic villas with private pools are always popular, and our collection has been established with the family summer holiday at the core of what we do. With plenty of villas to choose from across the prices spectrum, there are a handful that stand out as firm favourites with our clients year on year and school holiday dates tend to book very quickly. Villa Floresta is impressive inside but it's the outdoor spaces and views that steal the show. With spacious balconies designed with a long lunch or an evening aperitif in mind, you can enjoy views out to the sea and across the Parque da Floresta golf course. There are beaches, restaurants and shops a short drive away - this is what we mean when we say the unspoiled Algarve - bliss! 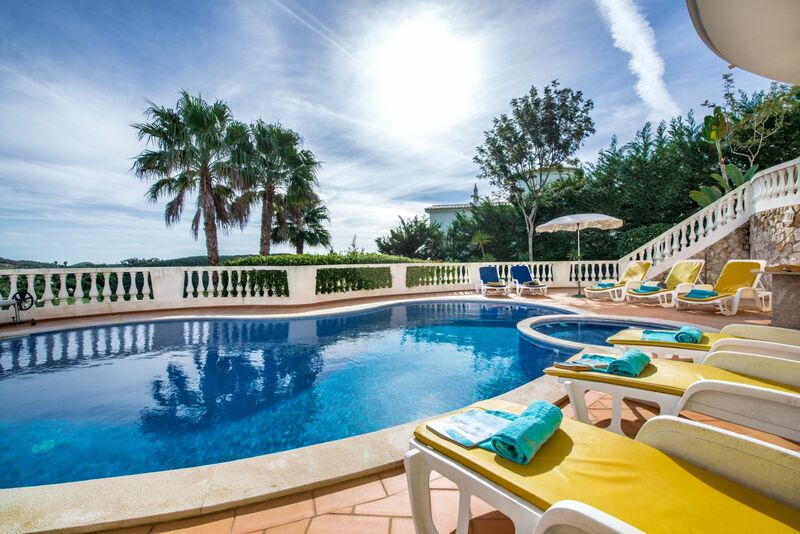 If a classic family villa is what you’re looking for but you fancy taking it easy on the driving whilst on holiday, we have a selection of properties that are just a short walk to the beach, shops and restaurants too. This is a very popular request, and we can see why – imagine leaving the car behind for a week or two and slowing down to a walking pace during your holiday … bliss! Villa Berlenga is a brilliant family villa with three bedrooms and two bathrooms, a private heated pool and stunning ocean views. It's just a five minute stroll from the beach at Praia d'El Rey and the resort's restaurants and bars are just a few minutes away on foot. These great family properties often get booked up very quickly so, to avoid disappointment, call Alex, Justin or Bethan today (01395 576655) and let us help you to find your ideal family holiday for next year. P.S Don’t just take our word for it, our Feefo reviews offer honest and independent opinions on all our properties. We are very proud, too, of our excellent service ratings; we will always go the extra mile to do everything that we can to help you to enjoy truly memorable family time.